In case you don't know by now, this blog will consist of week six picks from the CUSA, Independents, Mountain West, Pac-Ten, SEC, Sun Belt and WAC. So far this season, I'm way ahead of last year's pace picking these conferences so I am getting better. CONFERENCE USA: 5-2 last week, 34-11 overall in this league. *With the tragic murder of teammate Taylor Bradford, the Memphis Tigers somehow, will play this game on Tuesday. With so many emotions, this team will come together to win - what I expect to be - an exciting CUSA game. *In the preseason, yours truly said the Golden Eagles would run the table in CUSA. I still stand by that prediction and the quest for league perfection continues Wednesday night at home against a Rice program that is back to old ways...losing. Why such a low score you ask? Well, Southern Miss will start THIRD STRINGER Martevious Young at quarterback since starter Jeremy Young is out 2-5 weeks with a high ankle sprain and backup Stephen Reaves strained an oblique muscle early in Sunday's practice and will play, but won't start. Even with a third stringer in the lineup, Southern Miss is better than the Owls. *WOW!!! Sure the Bulldogs are having a decent season, but they're dealing with SERIOUS offensive issues right now. For one, WHO IS THEIR QUARTERBACK??!! HC Sylvester Croom seemed to find a solution in junior QB Josh Riddell, who is now done for the season with a torn ACL. Original starter Michael Henig is on the active roster again after breaking his hand earlier this season - but only as an emergency 3rd stringer. Backup QB Wesley Carroll will make the start and if the Bulldogs throw the ball 20 times I'll be shocked. UAB on the other hand was competitive with Florida State (only lost by ten) and are fresh off a 38-30 loss on the road at Tulsa. UAB racked up over 400 yards of total offense against Tulsa and their ability to MOVE THE BALL is why I'm taking the Blazers on the road in SEC country. Watch out for sophomore Joseph Webb, this kid is one of the most exciting players in college football you've never heard of. He's the Blazers backup QB, an effective rusher and WIDEOUT!!!! He does it all and is super fast. *Nick Saban's honeymoon is officially over. Losing two straight after a 3-0 start is reminding folks in Tuscaloosa of a certain Shula. Saban will not allow a decent Houston club to come onto his turf and steal a win. It won't be pretty, because for some reason, the Tide are using this running back rotation. Terry Grant, Glen Coffee and Roy Upchurch are all clueless as to how they're going to be used. In my opinion, this cloud of doubt is holding the 'Bama offense back. If Saban committed to redshirt freshman Terry Grant - like he did in the first two games, the offense would be rolling...much more than it is now. The trio managed just 17 carries for 68 yards COMBINED last week against Florida State!!! Bama gets back to the ground game and Houston comes close, but no cigar. *Tough game to call, but after Tulane played so well for one half with the nation's #1 team, sorry Stan Brock, I'm going with the upset special!!! Seriously though, the Black Knights should be blushing if I'm picking them to lose and it's an upset. *Could be the best game of week six!!!! UCF comes back in the second half thanks to future NFL'er Kevin Smith at running back. Last week against Louisiana Lafayette, Smith rushed for 223 yards and 3 touchdowns!!! His lowest rushing total this season is 124 yards on 22 carries against Memphis. With former Memphis standout D'Angelo Williams two years removed from the college scene, he finally has a replacement in CUSA. 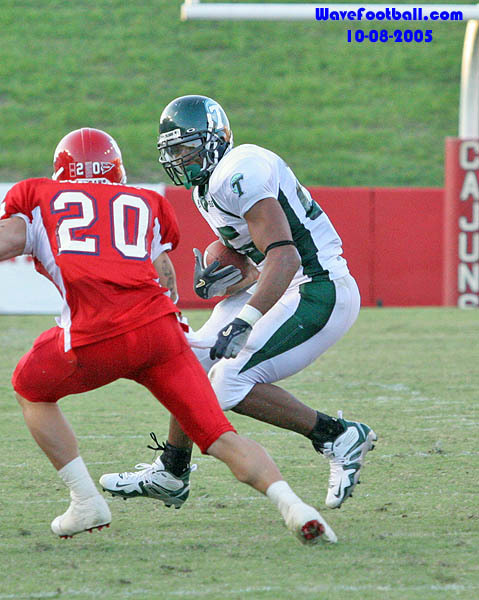 Kevin Smith is the CUSA Player of the Year at the midway point of the season. ECU, on the other hand proved me wrong last week at Houston but won't be able to stop the game-winning drive from UCF in the 4th quarter. *What a game last week for UTEP!!! Coming back to score 14 unanswered in the 4th quarter to force OT at SMU - then winning the game was crucial for the mindset of this team. Now, HC Mike Price's club is back in El Paso looking to defend home turf and ride the momentum gained from last week. The Miners will pick up their 3rd win in a row thanks to another solid performance from RB Marcus Thomas. The senior is the leader of this team and he wants the ball in pressure situations. There will be plenty of pressure with high-scoring Tulsa in town. When UTEP ends the season 7-5 and heads to a bowl game, the team will look back at this game as vital to those accomplishments. INDEPENDENTS: 4-0 last week, 17-3 overall. *The Irish will be leading at the half!!! Then, the Bruins defense clamps down and holds ND to under 100 yards of total offense in the second stanza. QB Evan Sharpley will NOT start, but will debut in the third offensive possession for the Irish. The offense will continue to respond to Sharpley and he stays in the game. The score will look a lot worse than it really is...dare I say, Notre Dame makes progress?! MOUNTAIN WEST CONFERENCE: 5-1 last week, 23-13 overall in this league. *Really tough game to call!!! TCU has series history on its side, but Wyoming is finding ways to win this season. Both teams display great defense, but TCU's is just better. Therefore, defense reigns supreme Laramie and the Horned Frogs pick up an important road win in conference play. Don't get mad at me Cowboy fans, I still think you're going to finish 8-4...not bad at all. *FINALLY!!! Poor Colorado State. 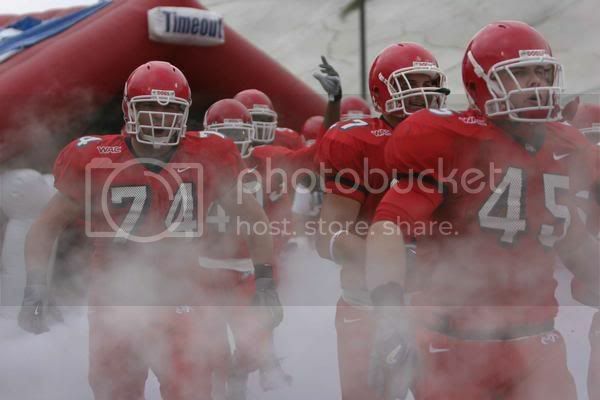 This was the best 0-4 team in the nation. The Rams have been competitive in every game this season including against Colorado (how good does that OT loss sound now? ), Cal, Houston and TCU. RB Kyle Bell was held to just 9 yards on 7 carries last week after averaging over 100 yards per game coming in. That stat-line will change against an Aztec defense that can't stop the run at all (gave up 263 yds. rushing vs. Cincinnati last week). *First year HC Troy Calhoun has his work cut out for him at the Academy. He's slowly implemented his "pass-first" offense into the Falcons and the more AF throws the ball their offensive production goes down. Look, I'm not a coach, but I'm "assuming" the reason for the wishbone for programs like Air Force or Navy is to equalize their lack of defensive talent. Therefore, having the offense on the field, with the clock running, minimizing possessions for their undersized defenses that can't slow down opposing offenses. It makes sense and when you notice QB Shaun Carney's completion percentage and yards - it looks like it's working...but Air Force has lost two in a row. I predict the Falcons stick to the ground and stay away from the "Air" to help the "Force" improve to 4-2. PAC-TEN CONFERENCE: 4-1 last week, 29-8 overall in this league. *I'm starting to feel bad for RB Yvenson Bernard. This guy is so electric and productive week in and week out, but somehow the Oregon State passing game and defense keeps him overlooked nationally. The visiting team has won the last three meetings between these two and 'Zona is about to make it the last four. This win is crucial for HC Mike Stoops, without it - the Wildcats have no shot at being bowl eligible. QB Willie Tuitama is playing his best football right now and Tuscon is taking notice. *What more needs to be said about HC Dennis Erickson? He walked into a GREAT situation. You think former HC Dirk Koetter is watching the Sun Devils play and is thinking to himself, "My goodness! I told you I was one year away!!!" Get ready to watch Arizona State finish the year 10-2, which will include a home victory over USC!!!! *Like I said a few weeks ago, the Trojans passing game isn't where HC Pete Carroll wants it to be. Losing freshman center Kristofer O'Dowd (dislocated knee) and right guard Chilo Rachal (sprained knee) in the first quarter at Washington has the passing game looking even worse. It's unclear how long those two lineman will be out. QB John David Booty isn't in sync with his inexperienced receivers and it shows. He continues to indicate where he is throwing the ball with his eyes and defensive lineman are batting down passes (which was a problem last year). Yet, after writing this - USC fans will watch Booty throw for almost 400 yards against STANFORD and they'll bash me. Listen, USC is a very good team. The Trojans have more depth in the backfield than any team in the country and their defense is one of the quickest, but mark my words - this passing game will cost USC two games this regular season. SOUTHEASTERN CONFERENCE: 6-2 last week, 32-9 overall in this league. *And the "Kentucky Craze" carries on!!!! Steve Spurrier is 14-0 all-time against Kentucky and this game will be played on a Thursday night! So Columbia is sure to be rockin' for the nation's hottest team. Two reasons why I have Kentucky winning this game despite the projected hostile enviroment; 1. Andre Woodson went into Fayetteville and strutted his stuff just fine earlier this season. 2. South Carolina's defense can't stop the run (Kentucky is averaging 223 yds rushing per game!) and the Gamecocks offense can't score enough to keep up with the Wildcats. Expect a monster game from one of the most overlooked running backs in the nation - Rafael Little. This will be his national stage to prove to NFL scouts he may just be the next Kevin Faulk. *Gotta be honest. 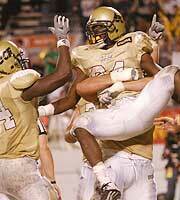 I originally had the score 24-23 VANDY!!!! Then I sat...stared at my computer screen and changed my mind. The way I look at it, if FLORIDA couldn't get anything going against this Auburn defense how will Vanderbilt? It's going to be a very good game and the Commodores may lead in the second half at some point, but the Tigers defense will create turnovers (Vandy QB Nickson had 4 int's last week!) and great field position will be the difference. Looking at Tommy Tuberville's remaining schedule and I see a possibility of a 7-5 season. *Ed Orgeron needs a win desperately. Like Ed's voice...this one will be scary. *My good pal David Pollack (2002 SEC Player of the Year at Georgia) is going to kill me over this pick. The Vols are in desperation mode. An SEC win here is so vital to the future of HC Phil Fulmer. After losing 59-20 in Gainesville and trips to Mississippi State and Alabama up next, this game could seal Phil's fate in Knoxville. With so much at stake, the Vols will come out on national television (CBS) and play at a different level than Georgia. The Dawgs are playing as good as ever right now too - which makes this pick so tough...especially with RB Thomas Brown playing at 110% (16 carries, 180 yds last week vs. Ole Miss). I predict a costly Matthew Stafford turnover will give Tennessee great field position late in the 4th quarter and freshman kicker Daniel Lincoln will be this week's Wes Byrum by knocking in the game-winning field goal. *Just another team in Darren McFadden and Felix Jones' way. *Two weeks ago I was picking Florida in this game. Now, with SO MANY injuries, a starter arrested (safety Tony Joiner) and a lost sense of confidence after the Auburn disaster - even the great Tim Tebow can't do enough to beat LSU. SUN BELT CONFERENCE: 6-0 last week, 25-7 overall in this league. *Thankfully one of these teams will win a game. *FIU may be the worst team in the Championship Bowl Subdivision. Troy may be the best team in the Sun Belt Conference. Bad mix for FIU. *Another miserable season for Louisiana Monroe. On the other hand, Arkansas State is bringing the pain every week! The Indians refuse to back down to anyone and will give Troy a run for its' money in this conference. WESTERN ATHLETIC CONFERENCE: 5-2 last week, 31-6 overall in this league. *Idaho is bad this year. The Vandals barely beat Cal Poly (20-13) in week two and that is their only win this season! San Jose State needs this win (which will be the Trojans 3rd in a row) considering their next three games are Hawaii, at Boise State and at Fresno State. *I picked against Nevada last week and the Wolfpack came back to bite me by beating UNLV. This week is homecoming for Nevada, but Fresno State is a team the Pack simply can't handle. Nevada has lost 7 of its last 8 to the Bulldogs and this trend will continue on Saturday. 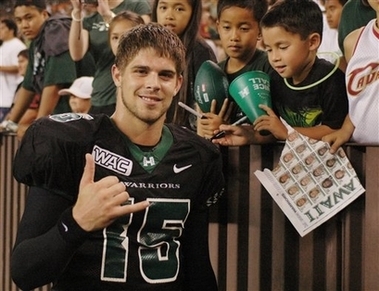 *Colt Brennan threw 5 picks last week. One week prior he missed due to injury. Yeah, he needs a big game and he gets it against the lowly Aggies. *Two weeks ago I put my faith in New Mexico State to beat Auburn on the road. BOY, was I wrong. Last week I put my faith in Southern Mississippi to go to Boise and beat the Broncos. Do the math, I'm taking Boise State hands down.